Irish rider Nicolas Roche is getting set for another season on the road, this time in the colours of a new team. His time with Team Sunweb gets underway in France on Thursday. 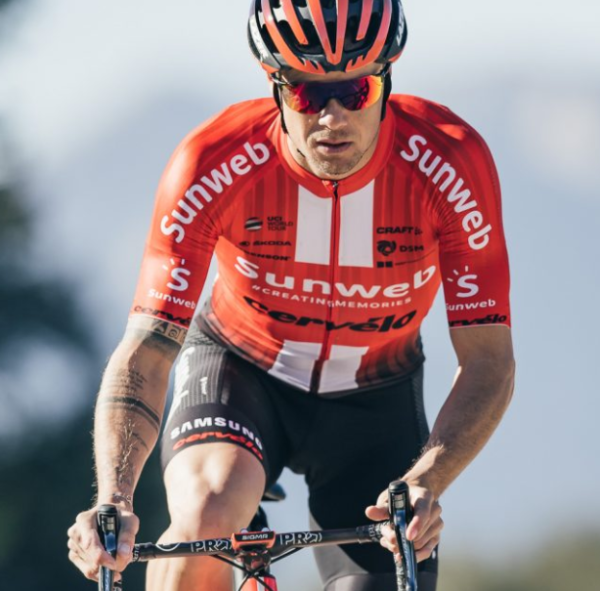 Nicolas Roche has joined the ranks of Team Sunweb from BMC Racing and he gets his time with his new employer properly underway this week in France. The Irish rider is one among a seven-man line-up that will take on the four-day Tour de la Provence from this Thursday to Sunday. The race gets under way with an 8.8km TT in Saintes-Maries-de-la-Mer in the south coast of France where the wind will probably play a significant part. The second stage takes the riders some 194km from Istres to La Ciotat with six short sharp climbs in the second half of the race. The following day, stage 3 is 159km from Aubagne to Le Castellet with six loops of the Circuit Paul Ricard and an uphill finish after an undulating day. The race concludes on Sunday with 170km from Avignon to Aix-en-Provence; six short climbs along the way. Team Sunweb coach Matt Winston said with between 2,400 and 2,600 metres of climbing each day, the racing will be tough. The team is a mix of youth an experience, ranging in age from 21-year-old Michael Storer to Roche (34) and Johannes Fröhlinger (33). Lennard Kämna, the 22-year-old German who has been junior world TT champion, is also in the line-up along with Asbjørn Kragh Andersen (26), Chad Haga (30) and Max Walscheid (25). “The team will focus on positioning our young gun Michael ready for the final part of the stages, especially stage two and three,” said Matt Winston of Michael Storer, a Rás Tailteann stage winner in 2017. “There is a small potential for a sprint on stage four depending on how the peloton race the stage, in which case the team will look to deliver Max (Walscheid) to the finish. The field is one of some quality with Team Sky, AG2R-La Mondiale, Movistar, Groupama-FDJ, Deceuninck – Quick Step, Trek-Segafredo, Astana and EF-Education First all taking part.